Candy showcased in square plastic containers at Middlebury Sweets! 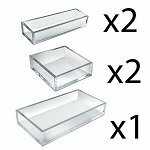 Square Plastic Containers will help you maximize your display space while simultaneously increasing sales. 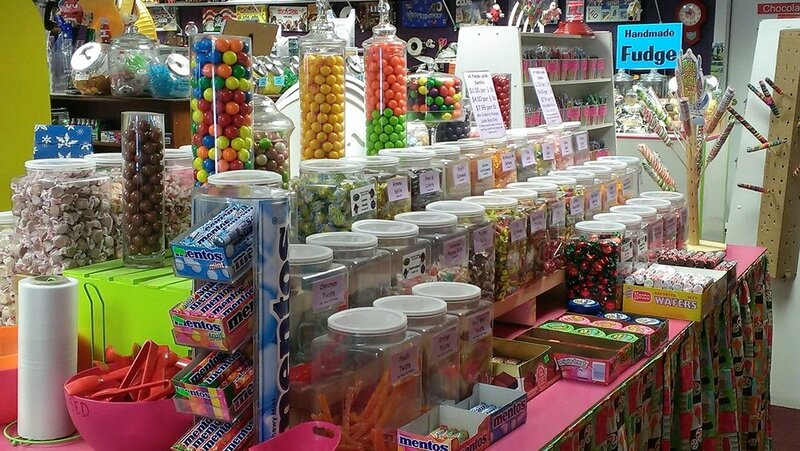 Using a plastic wholesale jar for items such as candy, hardware pieces, fabrics and more, keeps your display appearing neat and organized plus helps to prevent breakage or loss of merchandise. 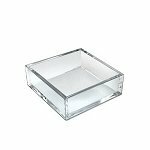 There are so many added benefits of square candy containers; they fit tightly together on the shelves to create optimum use of your storage space on shelves, display tables and more. With the square edges, they are easier to grip, grab and hold. 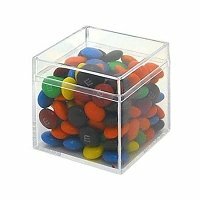 Square plastic candy bins come in a variety of sizes and counts. 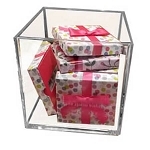 Our Square Clear Box is ideal for party favors at birthdays, weddings, and holiday grab bags. Fill with colorful and tasty candy of your choice. Leave it displayed simple like it is or add colorful ribbons and bows. Other Square Containers ranges in size from 14 ounces all the way to 169 ounce capacity. You will definitely find the perfect size you require for your shop. Our Cube Bins range from four to seven inches in size. Fill with items like paperclips, buttons, fun costume jewelry plus much more. 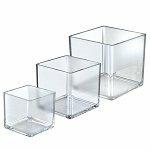 Be creative with these square containers, flip them over and use as a riser for food dishes or candy buffets to add more height definition to your exhibit. 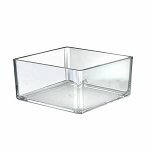 Not only that, showcase exquisite jewelry pieces by enclosing the item with these cubes. Brighten your exhibit with our Color Based Box Canisters. They range in size from small, medium, large to extra-large. They come in five various colors and catch the attention of shoppers because of their vibrant colors. Use these canisters with containers lids for most anything, stack'em, fill'em, to your hearts content. 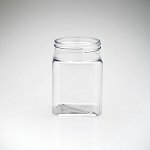 Effectively market your retail items with these attractive square jars by utilizing them everywhere. Create attention gaining displays by adding these cheap candy jars to candy buffets, using to exhibit bulk foods plus more. 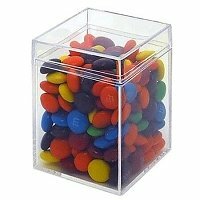 Save time and money and add some sensibility to your shops by purchasing your square plastic candy container and show off your merchandise with some fun and style. Conserve even more space by ordering space-saving display racks with many styles to choose from!